Granite, marble, or tile can give your home the sophistication and warmth you desire. 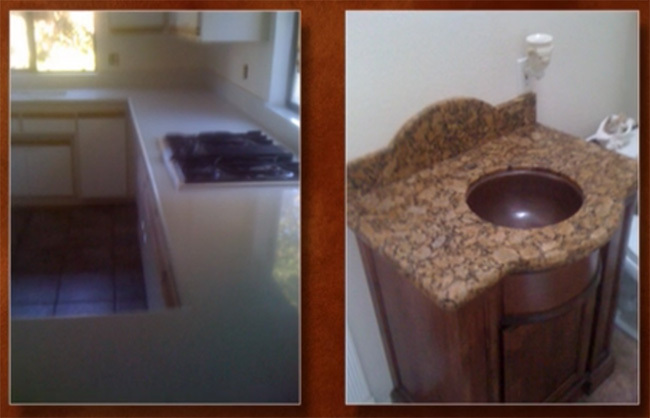 Our experienced staff has the skill to complete your countertop or tabletop quickly and affordably. If you’re tired of your easy to scratch vinyl countertop, see how great new granite would look in your kitchen. Your dining room or kitchen table is the centerpiece of your home, so make sure it stands out with a custom tabletop. After you choose your materials in our showroom, we’ll visit your home or business to get accurate measurements. Your FREE written estimate for your new countertops will be based on these measurements.